Historic Charleston was founded in 1670 and has known both greatness and tragedy, abundance mingled with despair and triumph tempered by defeat. Indeed, much of her story may be set forth in a single word-SURVIVAL. Charlestonians are proud of their heritage reflected in the many beautifully preserved 18th and 19th century buildings which retain the grace and grandeur of Colonial America. Charleston is equally acclaimed for its contributions to the arts and humanities, and is often viewed as a "living museum." 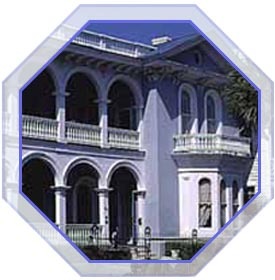 Recently, Charleston was named as the "most mannerly" city in America by Marjabelle Young Stewart. You are sure to find Charleston to be a destination like any other. The only thing you won't find is a shortage of fabulous restaurants, quaint shops, widely-renowned festivals, and world-famous gardens and homes.